According to research from the Bank of Scotland*, first-time buyers are £1,440-a-year better-off owning their own home as opposed to renting. 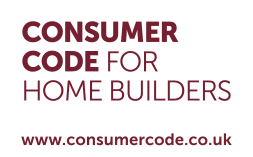 The report goes on to say that, in December, the average monthly buying cost (including mortgage payments) associated with a first-time buyer of a three-bedroom home was £525, £120 lower than the monthly rent of £645. What’s more, with the Government-backed Help to Buy scheme available on all homes, many prospective buyers are often not aware just how much home they can get for their money. With this in mind, developer Jelson Homes has a great choice of attractive properties now available, perfect for first-time buyers, right across its range of Leicestershire-based developments – and they aren’t all quite what you’d expect from a typical first-time buyer property. With such good news in place for first-time buyers, Jelson’s Leicestershire locations offer plenty of two and three-bedroom homes in a number of styles. With three developments to see, Jelson’s north Leicestershire locations offer first-time buyers a plethora of choice. Groby has been named as one of the best places to raise children in the East Midlands, so it comes as no surprise that new Jelson development The Brant is already earning itself a great reputation. The Brant is a tastefully-designed collection of homes that currently offers for sale two- and three-bedroom semi-detached homes from £169,950-£209,950. Farmlands in Markfield boasts many different home choices with appealing price tags. These include the three-bedroom Dawlish, Avocet and Tawny house types that all have superb property credentials. Prices start from £189,950. Those looking to be close to the thriving university town of Loughborough will be pleased to learn that Jelson’s well-established and much-loved Grange Vale development has just a small number of homes now remaining. They include three-bedroom mews homes from £182,950 and three-bedroom semi-detached properties from £184,950. In south Leicestershire, those looking for a well-established development, close to the city centre and with its own local amenities on the doorstep, will be impressed with Bramblings in Hinckley. Here, there is a selection of attractive three-bedroom properties that start from £179,950. Mayfield in Stoney Stanton is a relatively new development that is already in demand by eager house hunters, all attracted to its range of home choices and unique location which sits between Hinckley and Leicester. Here, five styles of three-bedroom semi-detached and detached homes are also available, and prices start from £184,950. Finally, Two Oaks in Huncote offers village living at its very best and, with three-bedroom semi-detached homes to choose from, visitors to this development won’t be disappointed. Prices at Two Oaks start from £189,950. Jackie Woodward, sales manager for Jelson Homes, comments: “We’re pleased that the media is shouting about investing in bricks and mortar rather than renting - long-term, home owners can only benefit from owning their own property because the monthly mortgage costs are just as competitive.  The Jelson Difference is yet another reason first-time buyers should invest with Jelson Homes – it’s the company’s very own unique sell¬ing point. As standard, all homes include solid internal walls, carpets and floor coverings throughout, fitted kitchens from Jelson’s own workshop and Jelson-made PVCu windows, and it is these features that are strong selling points of each and every Jelson home.